Adam Murray admitted he should never have taken the manager’s job at Boston United after parting company with Mansfield Town. But the Stags legend does feel what he learned at Mansfield and Boston will stand him in good stead for another crack at first team management at the right time in the future. Murray is now U18s coach at Barnsley after quitting Boston 13 months ago following a run of one win in 11. 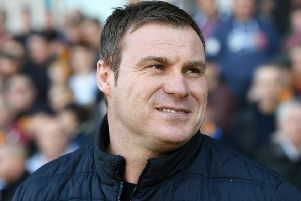 “In an ideal world, now I have had chance to step totally away from a first team situation, when I look back I probably had 12-18 months of making bad career decisions when I left Mansfield,” he admitted. “Boston had a fantastic chairman and it was a fantastic club, but for me career-wise it was probably the wrong move. “Looking back, when I came out of Mansfield my stock was still fairly high and I should have taken a break then and reviewed things. Murray has no plans to return to management right now – but he would not rule it out in the future. “I do miss the buzz of a Saturday win – and sometimes even a loss too,” he said. “The pressure of having to win is something I have always been used to since I was 16, playing or managing. It’s just getting your head around that. “In an ideal world I’d rather have done it this way round, finished playing and gone into a coaching role rather than jump straight into management. “I think I have probably learned more over the last couple of years being out of Mansfield while I was in the role. “You don’t see things clearly when you are fighting for three points.